Rovio Entertainment and Sony Pictures have finally released the official teaser trailer for the animated sequel of The Angry Birds Movie 2. It features its newest villain Zeta, voiced by Leslie Jones, who got lots of ice and no chill. 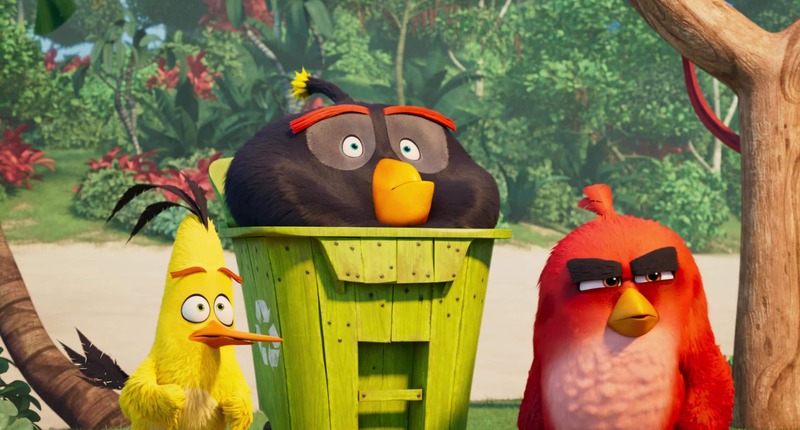 Angry Birds sequel is directed by Thurop Van Orman and John Rice. The returning voice cast for Angry Birds 2 sees Jason Sudeikis (Horrible Bosses) returning as the temperamental Red, Josh Gad (Beauty and the Beast) as speedy Chuck, Bill Haider (Trainwreck) as Leonard, king of pigs, Danny McBride (This is the end) as the volatile Bomb and Peter Dinklage as the Mighty Eagle. Joining the cast for Angry Birds Sequel hosts some hilarious actors and stars, including Emmy-nominee Leslie Jones as the villain, Golden Globe winner Rachel Bloom, Emmy and Golden Globe Winner Sterling K. Brown, Mexico’s comedy star Eugenio Derbez, Lil Rey Howery, Zach Woods, Awkwafina, Dave Cameron, Deck Bennett and Brooklynn Prince. Angry Birds Movie Sequel coming soon. The original Angry Birds film opener at #1 in almost fifty countries around the world in 2016, becoming the second highest grossing video game adaptation film, making $352 million at the box office. The Angry Birds Movie 2 is being co-produced by Mary Ellen Bauder Andrews, the story is written by Sean Charmatz and the screenplay is done by Peter Ackerman. The production designer on the film is Pete Oswald and Linda Lamontagne is the casting director. Catherine Winder and David Maisel are the executive producers on this movie. The Angry Birds Movie 2 release date is set for 16th August.